An online course on somatic experiencing—a revolutionary method for releasing trauma. Evolution has provided us with a way to deal with trauma the moment it happens—yet our cultural training overrides our body's natural instinct about what to do. The result is that we often store the energy of trauma in the body leading to unexplained physical problems, emotional issues, and psychological blockages. Assess when trauma may be the cause of anxiety, insomnia, depression, and unexplained pain. Apply nature's lessons on returning to equilibrium and balance. Describe the concepts of Somatic Experiencing. Demonstrate techniques for preventing trauma. Utilize exercises to release past trauma from the body. Discuss exercises that build resilience for future challenges. 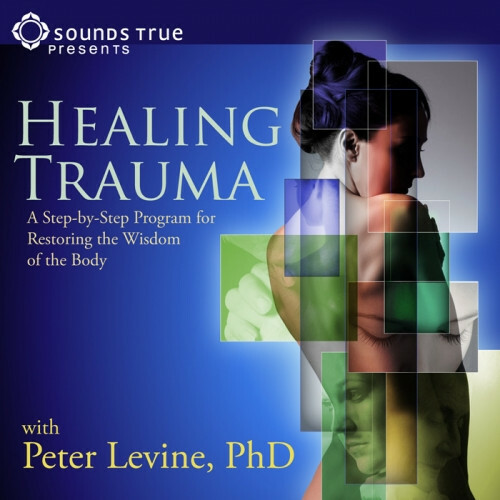 Dr. Peter A. Levine's breakthrough techniques have helped thousands of trauma survivors tap into their innate ability to heal—from combat veterans and auto accident victims, to people suffering from chronic pain, and even infants after a traumatic birth. With Healing Trauma, this renowned biophysicist, therapist, and teacher shares an empowering online training course for restoring a harmonious balance to your body and mind. Including more than seven hours of expert guidance, plus Dr. Levine's answers to questions submitted by past participants, this comprehensive course will help you understand how you can release unresolved traumas and live more fully. Drawing on his 40 years of research, Dr. Levine gently guides you through each of the essential principles of the four-phase process he calls Somatic Experiencing®. From identifying how and where you are storing unresolved distress, to becoming more aware of your body's physiological responses to danger and practicing specific methods to free yourself from trauma, you'll learn how to address unexplained symptoms at their source—your body—and return to the natural state in which you were meant to live. "I believe not only that trauma is curable, but that the healing process can be a catalyst for profound awakening," teaches Levine. With all new video and materials that you can download and keep, Healing Trauma offers a step-by-step program to help you restore the wisdom of your body, feel stronger, and reconnect to your inherent aliveness. Note: Contains materials from Healing Trauma book and CD and Healing Trauma audio learning course. Trauma is about loss of connection—to ourselves, our bodies, our families, to others, and to the world around us. As Dr. Levine teaches, this disconnection is often hard to recognize because it doesn't happen all at once but rather over time. In this session, we'll begin by defining trauma, distinguishing it from stress, and then identifying some of the most common causes and symptoms. It is not necessary to relive a trauma in order to process it, teaches Dr. Levine. The key lies in renegotiating our old trauma. Renegotiation allows us to create new channels for the stuck energy to complete its movement and course of action. In this session, we'll discuss this process in depth and explore how transforming trauma involves our instincts, emotions, and intellect all working together. In this session, Dr. Levine breaks down the key concepts of Somatic Experiencing® in clear and easy-to-follow language. From heightening our state of body awareness to completing the energy discharge cycle, this session will help us understand how each element helps contribute to a successful healing. Drawing on the foundational knowledge we created in the previous sessions, we'll delve into Dr. Levine's 12-phase Healing Trauma program. The first three phases of our work will help us learn how we can contain sensations and feelings, return to center, and begin to restore our body's boundaries. In the next three phases, we'll explore the language of the inner body by learning how to identify where we are tense or constricted, and how we can normalize that sensation through feeling and movement. Memories of traumatic events are stored on an instinctual level in our bodies. When we access those memories through our felt sense or language of inner bodily experiences— as we learned how to do in the first six phases—we can begin to discharge the instinctive survival energy we did not have a chance to use at the time of the traumatic event. In this session, we'll practice finishing that part of the cycle, learn how to continue cultivating this new state of equilibrium, and explore the spiritual aspects of our Healing Trauma. We'll also discuss the sacred nature of sexual trauma. It's almost inevitable that we, or someone we love, will suffer an accident or other traumatic experience, teaches Levine. There are many ways to help that person prevent long-term trauma from developing. In this session we'll gain tips and insights for working with someone who has had a traumatic experience, including specific guidance for working with children. We'll close with a discussion on societal trauma and how our individual healing can have global implications. The three phases of "emotional first aid"
Using the knowledge from Peter Levine's books and courses I was able to understand why there was an uncomfortable alarm going off in my body all my life. I didn't know about it but I had life and death asthma attacks filled with emergency room visits and adrenaline shots to get me breathing again. I didn't remember those experiences because they occurred at such a young age until I finally asked my parents. Thank you for asking for a review. Actually, I am not totally happy. There were a few sessions that cut out and took away from the experience. I would like to know what can be done in this situation. Either I would like to receive a clear session to hear it fully or some sort of compensation please. I greatly appreciate anything you can do in this situation. I would happily change my review based on the outcome.